Over a long association with Botswana, we’ve come to know the country and its lodges incredibly well. Each of our itinerary ideas follows a route that we’ve embarked on ourselves, often one that breaks away from the busier circuits and offers visitors a novel way to explore both established highlights and emerging destinations. Cruise through the Okavango Delta spotting hippo, crocodile and birdlife. Explore Chobe National Park, which boasts one of the largest concentrations of game in Africa. Or head into the wild landscapes of the Makgadikgadi Salt Pans. These itineraries are designed to give you some suggestions for what is possible when you travel in Botswana, and they showcase some of the routes that we’ve found work particularly well. Treat them simply as inspiration, because your trip will be created uniquely for you by one of our specialists based on your particular tastes and interests. 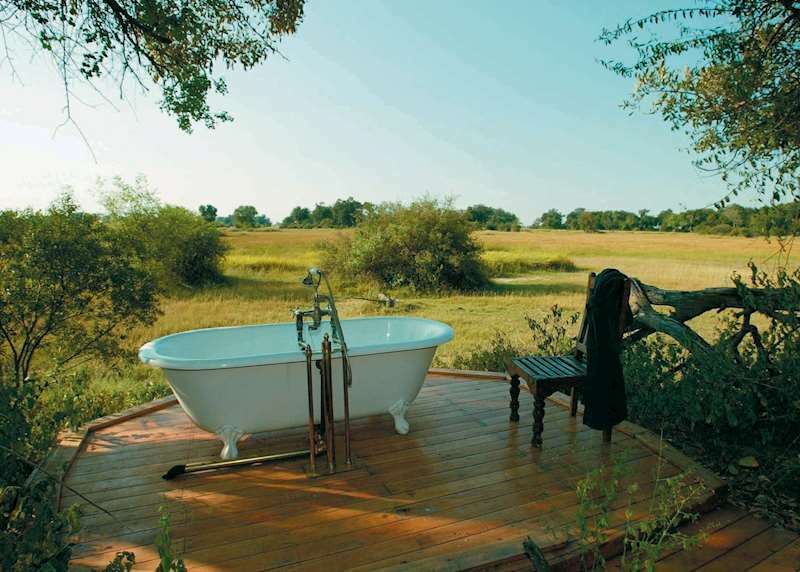 Enjoy fantastic game viewing in the Okavango Delta's private Khwai Concession. 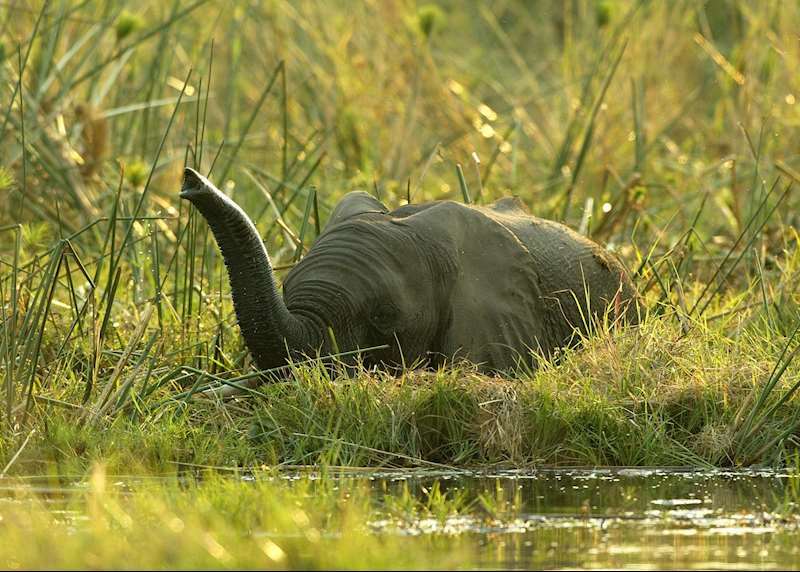 Explore Chobe National Park for some excellent elephant sightings. Visit the iconic Victoria Falls. This trip is designed to make the most of road transfers and avoid light aircraft flights. Explore the Okavango Delta in a small guided group. Travel with like-minded people through one of the most iconic safari destinations in Africa. 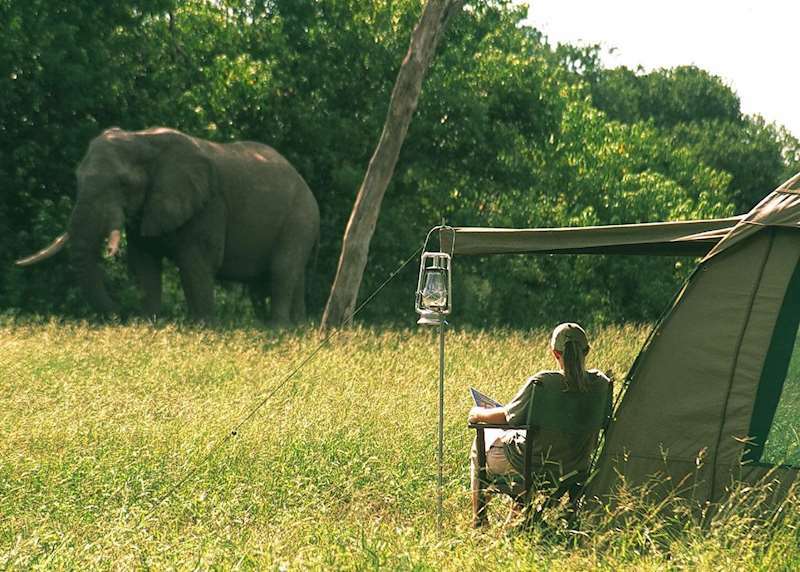 Wake up to the sounds of the bush surrounding your tent. Spend as long as you like viewing birdlife and wildlife and taking in the beautiful scenery. 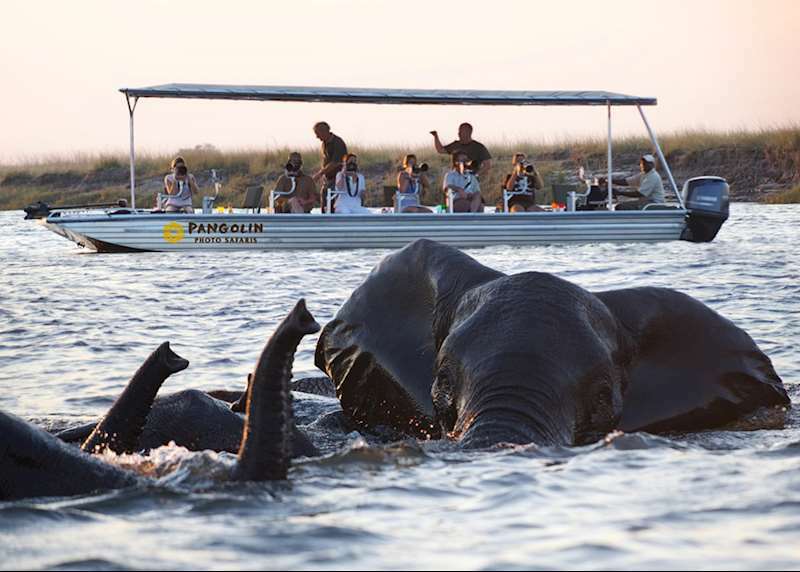 Float along the Chobe River while spotting hippo and elephant on a boat safari. Look out for leopard, lion, wild dog and zebra on morning and afternoon game drives. Enjoy a relaxing mokoro boat trip along the delta’s waterways, spotting a variety of birdlife. 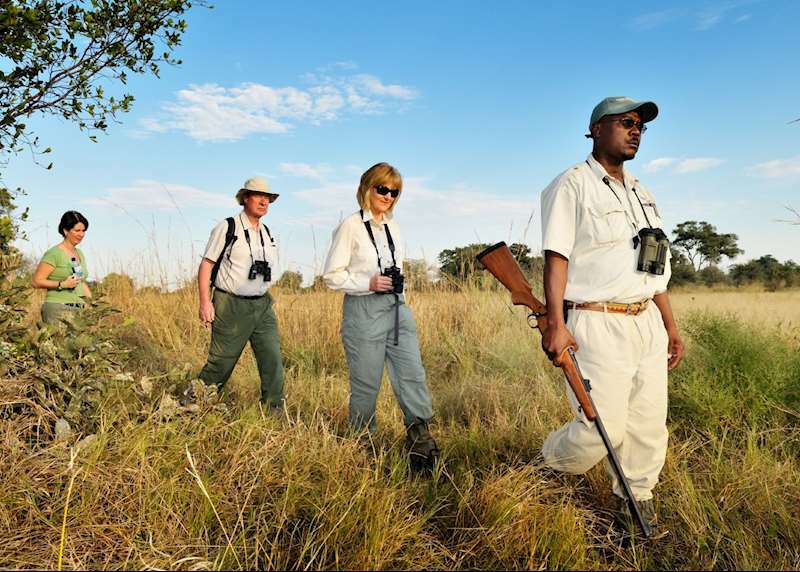 Head out on foot with a knowledgeable guide to learn more about the Okavango ecosystem. Stay in a remote and wild area for an authentic safari experience. Explore the Khwai and Gunn's Concession by mokoro. Enjoy the incredible diversity of birdlife in the Okavango Delta. Search for big cats and large herds of elephant. Take a night drive in the Khwai Concession to spot the nocturnal wildlife. Visit the stunning Victoria Falls. Climb the gigantic sand dunes at Sossusvlei. Kayak with seals off Pelican Point. Float through the Okavango Delta on a mokoro. Enjoy guided bush walks in the Kwara Concession. Experience the excitement of both day time and night time game drives. Walk with the bushmen in the Makgadikgadi Pans and learn about their traditional way of life. See the desert regions of Botswana come to life as the rain falls and deserts bloom. Explore Cape Town’s history and coastline and admire the city from the summit of Table Mountain. Track big game in Botswana and see smaller creatures on a guided bush walk. 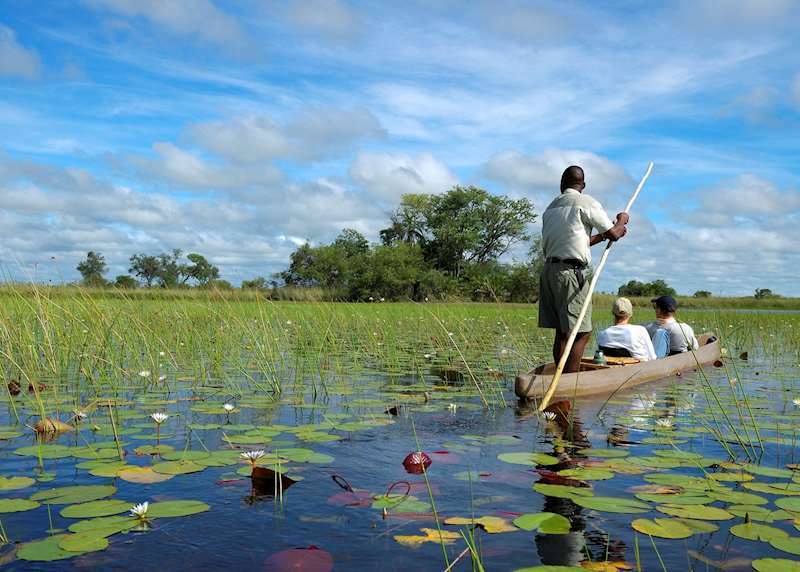 Take in the sights and sounds of the Okavango Delta on a peaceful mokoro trip. Admire the natural spectacle of Victoria Falls from the air and visit nearby villages and markets. Experience The Delta in luxury. Be guided by world class rangers. Light aircraft flights between camps give you a bird's eye view. A unique mixture of safari activities. The sights and sounds of safari are just the other side of the canvas on one of our tailor-made mobile camping safaris. Get back to basics and immerse yourself in the true spirit of Africa, staying in private campsites where comfort isn't scrimped on. If your camera is top of the packing list, take your passion for photography on safari with you. Our tailor-made photographic safaris in Botswana show you the elephant herds, giraffe and big cats while expert photographers help you capture the memory. 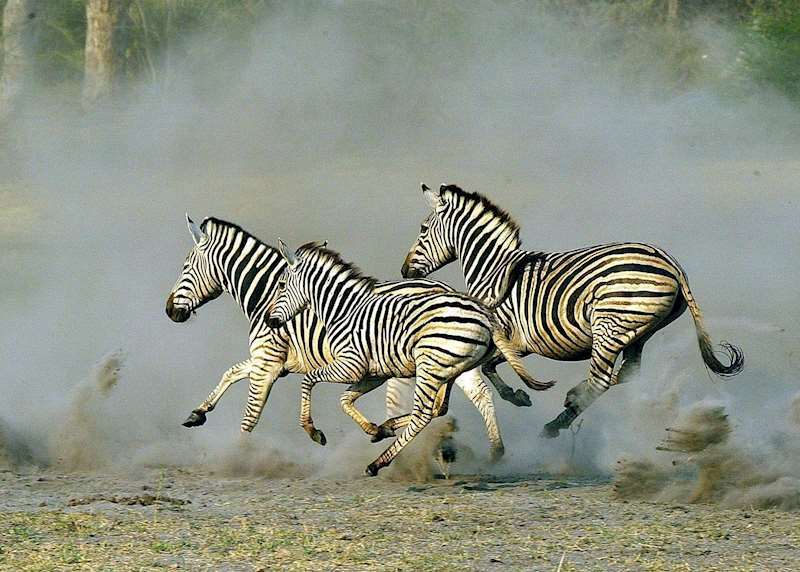 Each year, up to 25,000 zebra migrate through Botswana's national parks in one of the animal kingdom's most spectacular sights. Our specialists can recommend the places where you're mostly likely to witness the action and the best camps to stay in. The Okavango Delta is safari by water, where you glide in canoes through waterways and twinkling lagoons in search of hippo, elephant, giraffe and iridescent birdlife. Discover the best time to visit this wonderful water world and how we can help you plan your safari there. 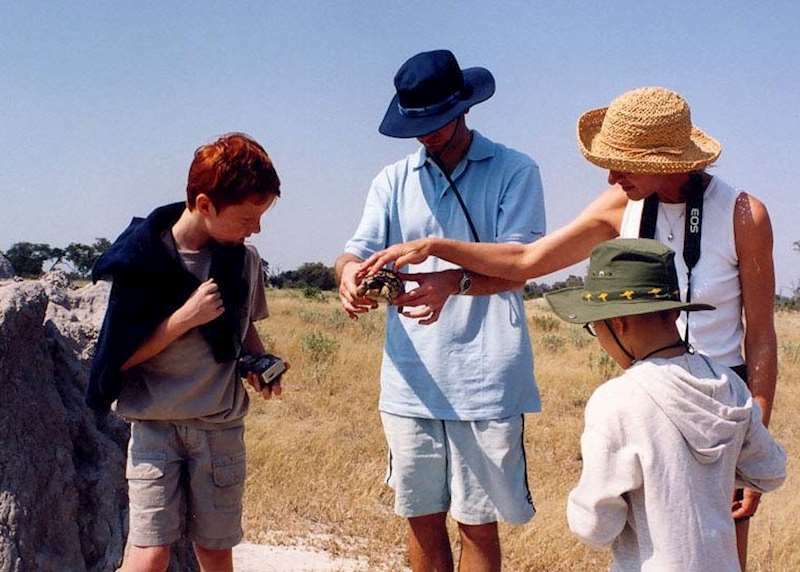 Botswana has a great selection of family-friendly camps with activities that will introduce your kids to the wonders of safari. And there’s the water world of the Okavango Delta to explore. Our specialists will help you pick the trip that suits you and your family. A safari is perhaps the ultimate honeymoon experience and Botswana is one of the top destinations in Africa. Stay in a luxury lodge in the big game rich Okavango Delta, take a boat trip on the Chobe River, or visit the San people of the Kalahari. Complete your trip with a few days on a beach in the Seychelles or Mauritius. Get away from the road and closer to the wildlife on one of our tailor-made walking safaris in Botswana, with a great chance of spotting the Big Five. Our specialists will design your safari on foot around your preferences, anything from a morning walk to a three-day hike. What makes a Botswana safari special? You might find it’s the solitude of the bush. The thrill of following fresh lion tracks. Or the exceptional comfort, food and service at the country’s camps and lodges. 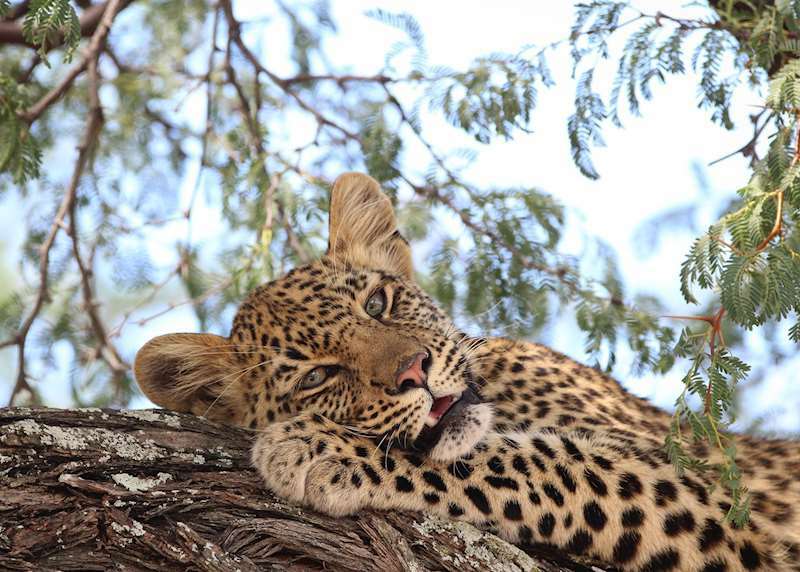 Botswana specialist Deanna outlines the highlights of a safari in Botswana.